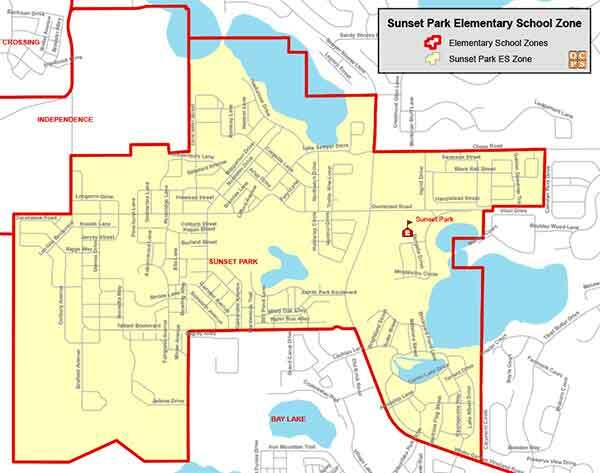 Searching for a home within the Sunset Park Elementary School Zone? Then you are in the right place! We work hard to make your next home search easy and efficient, so that when you are ready to buy or sell, we are ready to help! Sunset Park Elementary School History and Information: Sunset Park Elementary School opened in 2007. Our school has been A Rated every year. Sunset Park has also received the Five Star School Award multiple years. Some of the before and after school clubs are: Encore, Art Club, Science Club, Chess Club, News Crew, Safety Patrols, Safe Ambassadors, Student Council, and Running Club.